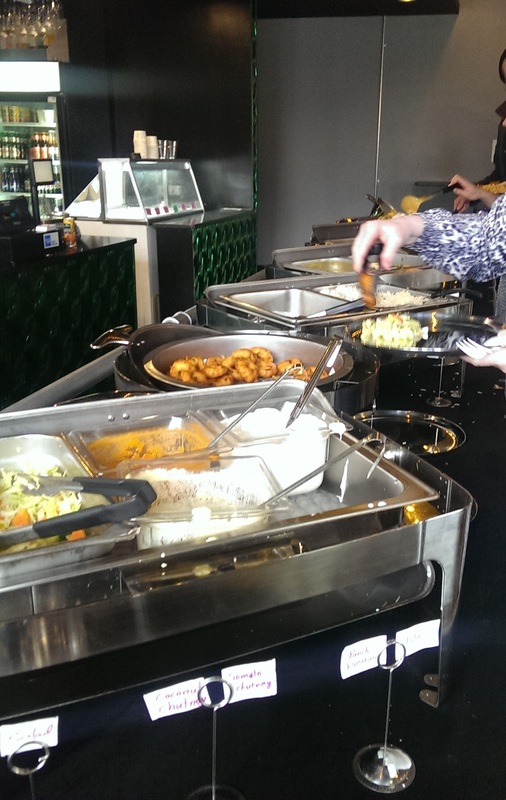 Bombay Chaat offers Mumbai street food to Clevelanders, and CSU students in particular. It is located on Euclid Avenue next to JB Mack’s at the intersection with E. 21st Street. The signage is terrible. Look for black awnings with ‘BC’ on them. The term chaat refers to a wide variety of delicious roadside snacks that are served throughout the Indian subcontinent. The menu offers a variety of dishes hailing from New Delhi to Mumbai, with roughly 75 different items in all, much of it finger food. 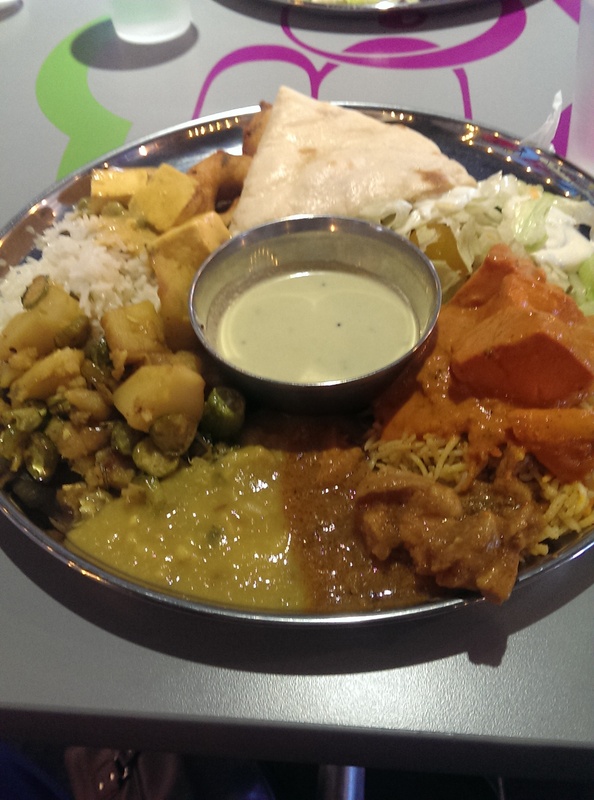 They also offer an amazing weekday lunch buffet featuring two vegetarian curries, two non-veg curries, Dal, Naan, rice, yogurt and dessert for $9.99. When I was there recently for lunch they had a paneer in a cashew cream sauce that was simply delectable, an entree with potato and what looked like okra, butter chicken and some other meat curry. The lettuce in the salad was a little brown from being cut with a knife, but it tasted fresh enough. I was pleased to see the place so full during lunch on a Tuesday. We got the last table, although there were seats available in the tall communal table in the middle. I organized a group of vegetarians and meat eaters to eat there on a recent Saturday morning. The staff was very accommodating and explained anything we had questions about. We feasted on dosas, pani puri and all kinds of Indian delicacies. 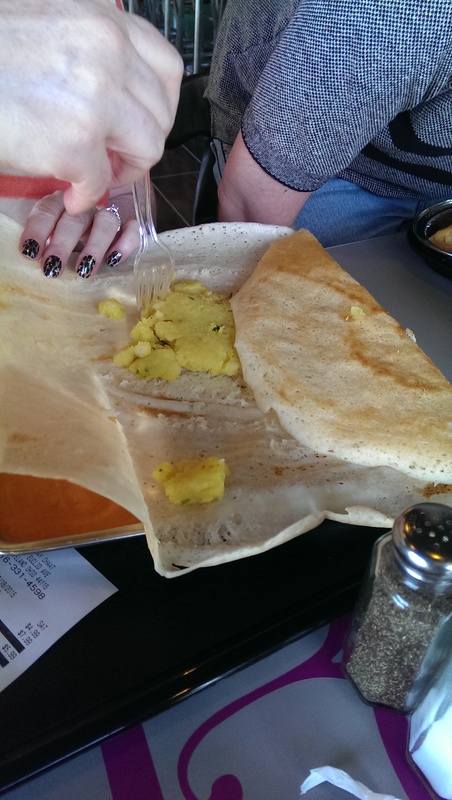 The dosas in particular were a huge hit. Most college kids are hung over on Saturdays, so we had the place practically to ourselves. Later on the place started filling up with people in gorgeous saris because there was an Indian concert nearby that afternoon. People were eating and then going to the concert. 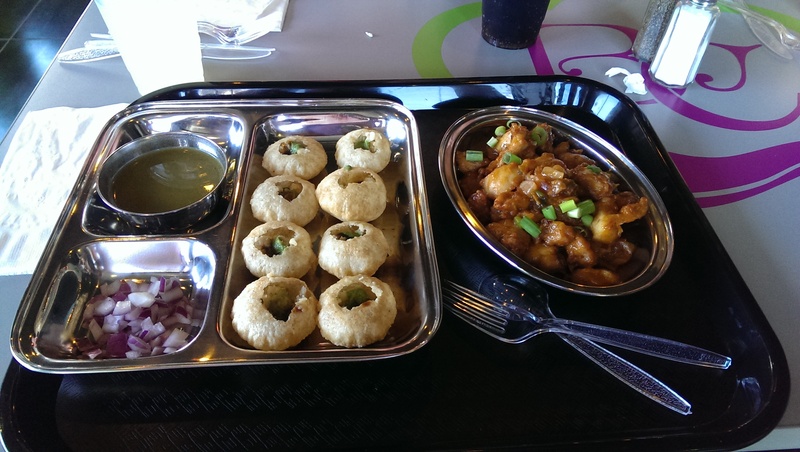 I ordered the pani puri ($4.99) to share with everyone, because I have been hearing about it from friends and really wanted to try it. Pani puri are puffy fried dough balls (puri) are filled with “flavored water” (pani), which is a chutney-like gravy with yogurt, chickpeas and cilantro. They came with the pani and chopped onions on the side to dress as you saw fit. They were really good, very vegetarian-friendly, and were the perfect one-bite starter. 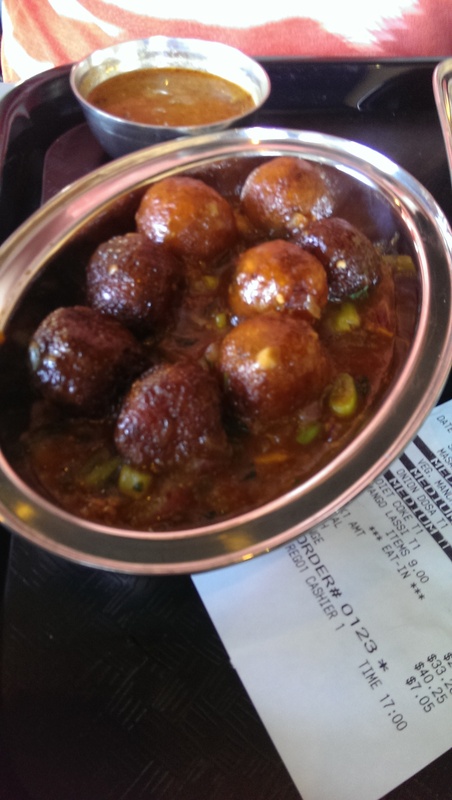 I also ordered the Chicken Manchurian ($6.99) off their Indo-Chinese menu. It was well-flavored and I really loved the sauce. It was just the chicken and sauce. If I had known I would have ordered a side of rice to go with it. The Veggie Manchurian was also quite nice. It features fried vegetarian balls in the Manchurian sauce. I liked it a lot and didn’t miss the chicken. 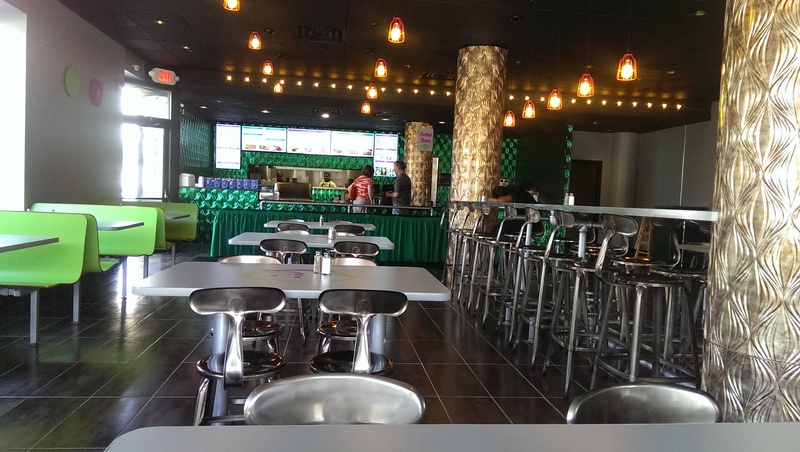 They have a huge variety of dosas to choose from – both plain and masala dosas. 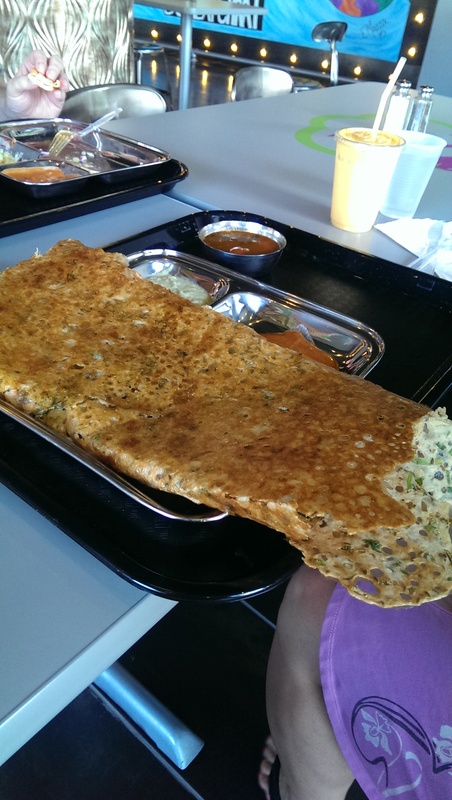 Dosas are huge, wafer-thin, griddle-fried crepes filled with things like potato curry, egg or onion. The Rava Dosa (pictured to the left), which is made of rava and rice, was gorgeous and very flavorful. Many of my friends ordered the Masala Dosa with potatoes and onion or the Onion Dosa. They were very good as well. With such an extensive menu to choose from you certainly won’t get bored. And the prices are affordable. Sure, they aren’t Indian street food prices, but we aren’t in India and they have downtown rent to pay. I will happily support them when I can.